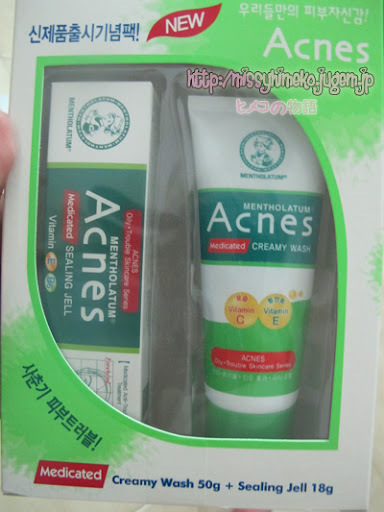 Revisiting this brand that I've just did a review on not long ago! 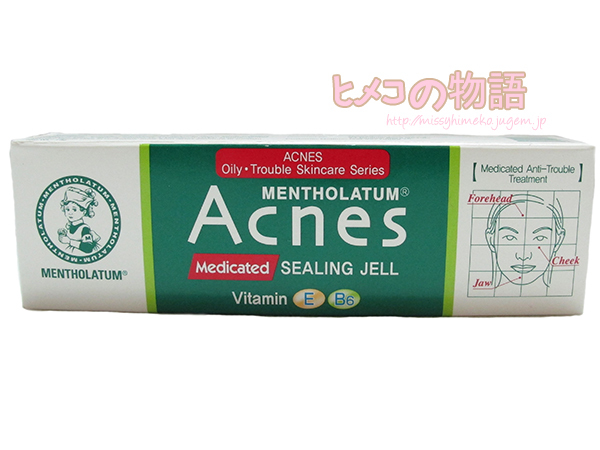 There are quite a few entries on Acnes Medicated products by Mentholatum here at my blog. I've received the creamy wash from them for the second time back in late June and did a review for it in July (First time was last year). From July to now, it has only been a month so I believe I do not need to reassess this product for you~ My opinion of it hasn't changed. 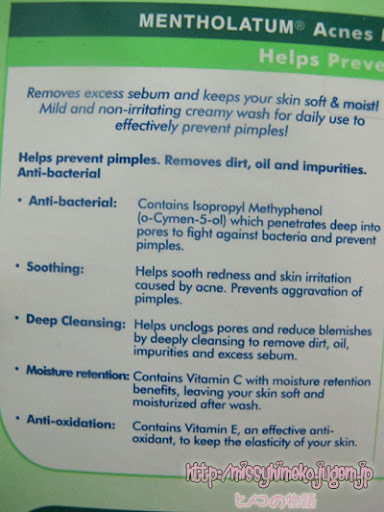 I do recommend it for people with oily skin since it helps to control my oil without over-drying my skin, not to forget it does not have any negative reaction with my skin. Okay fine, not just for those under going puberty but just saying you will probably get lots of outbreaks due to hormone changes and you definitely should get one of this since it is very affordable. 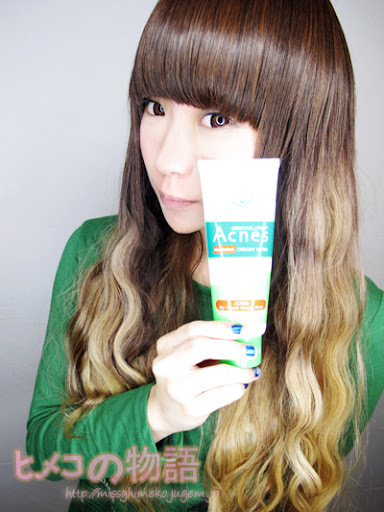 Well, it is not limited to just them; we go through the annoying acne problems period between 15-25 years old. 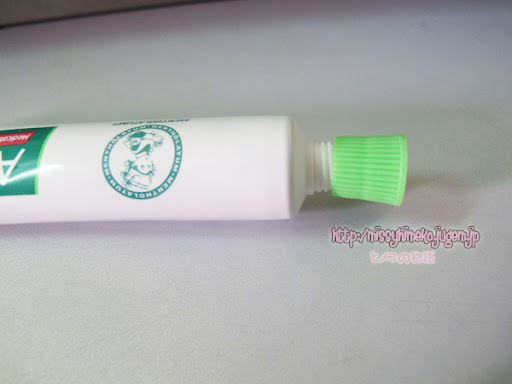 Once you feel a pimple coming, apply some of this! This product gets absorbed fairly quick [I apply a bit of pressure on the spot that needs this for about 10 seconds] and is easy to handle. Say goodbye to your pimples fast! One of the plus point I have to mention is that they are so affordable. I know many students might want to scrimp and save for other luxury items [that is, if you have a backbone and know not to stretch your hands out and ask money from parents blatantly], but do not neglect your face! You will come to realise your face is going to be a HUGE asset. Stretch your dollar with these effective yet affordable products. 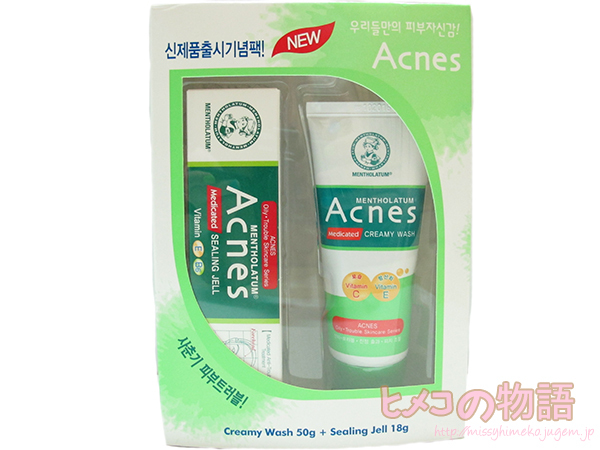 ^ can be found in Watsons Islandwide. 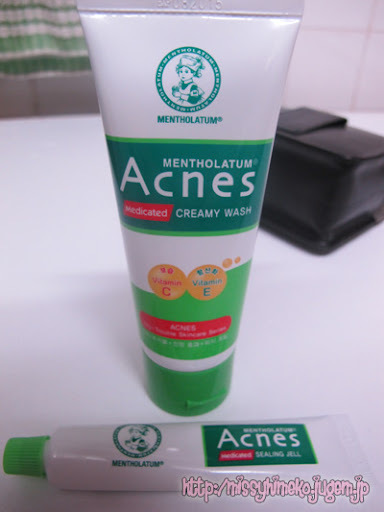 Redeem your free sample from Acnes Medicated HERE. Without further ado, since I am way way wayyyyyyy too late for this review, here's my review! Similar to my experience last year, I did not experience any bad reaction from using it and the period that I used this was when my skin was leaning towards the oilier side so I did not experience drying like the last time round. All in all, I feel that it cleanses my face well and leave my skin feeling clean and fresh! Once again, I will give this wash a rating of 3.8/5 because it does what it says but did not particularly outperform my expectations. I'm not sure if you can see it from the picture but there are little beads in the formula. The green beads are for deep cleansing while the blue beads are for the cooling menthol sensation. That being said, the cool sensation is really... refreshing! You get this tingling feeling on your face while the facial wash is still on your face and when you wash it off with the tap water, the face is hit with the menthol feeling you get when you pop a menthol sweet in your mouth. Super duper fun to wash my face with this, thumbs up up up! I will give it a 4/5 because it really impressed me! Signing off here in a rush! 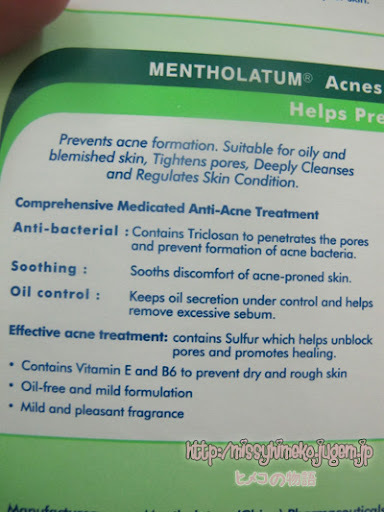 It's the Acnes Medicated Skincare from Mentholatum! So this box sent to me has 1 50g Creamy Wash and 1 18g Sealing Gel. & here's for the Sealing Gel. Upon dispensing, I can smell a cooling & pretty much generic medicated smell. Opening the Gel with the cap! Okay so I have 3 pictures for you to compare and see the results for yourself! 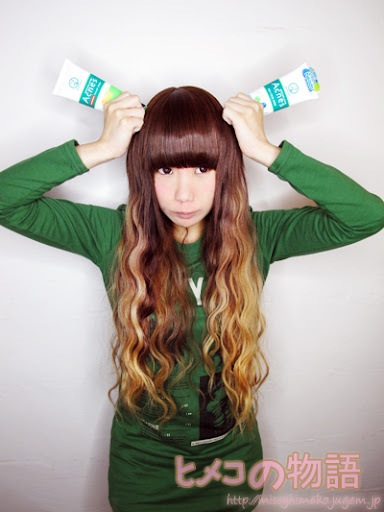 Hada Labo Lotion sponsored for about 1 week. 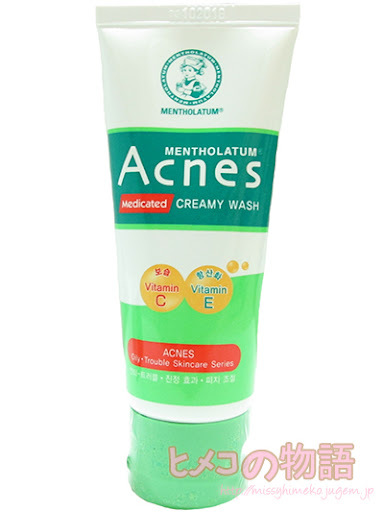 wash my face with this, it happened about 3 times? My skin feels tighter than usual in such cases. Other than that, my skin does feel very clean after wash. So I will give it... 3.8/5! the pimple never did come out! Therefore, I'm give this a 4/5! the free samples from their facebook page? news on which places you can redeem FREE samples & new product launches! Many other samples available for redemption over at their website!